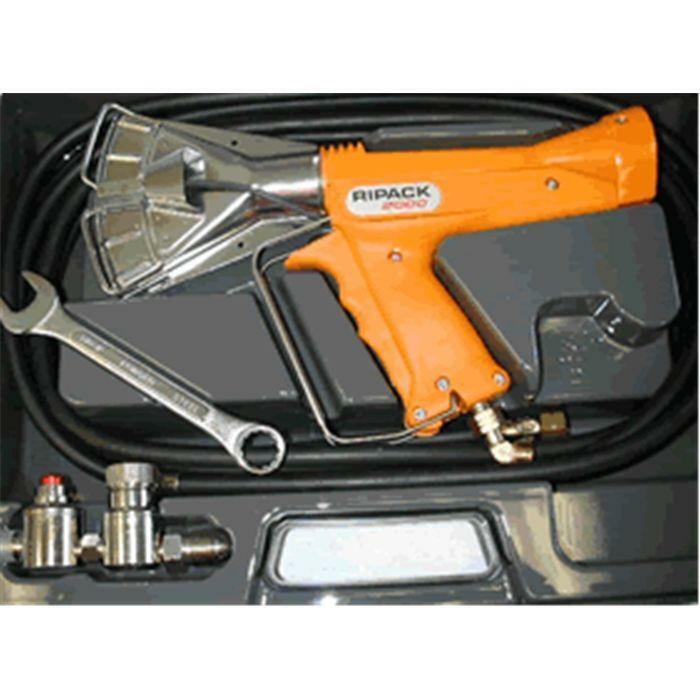 https://mrshrinkwrap.com/ripack-2000-heat-gun-kit.html?___store=default 1690 Ripack 2000 Heat Gun https://mrshrinkwrap.com/media/catalog/product/r/i/ripack_2000_alt.jpg 649.99 649.9900 USD InStock /Propane Heat Guns & Accessories /Propane Heat Guns & Accessories /Ripack 2000 Heat Gun With 72 kW of power, the Ripack 2000 heat gun is the most powerful heat shrink heat gun on the market. 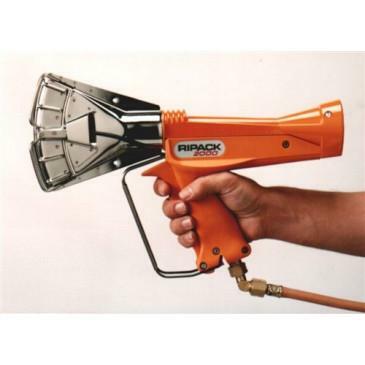 *Shrinkfast and Ripack regulators are adjustable to achieve different BTU levels. *Express Hornet's regulator is not adjustable and BTU level is dependent on burner attachment. 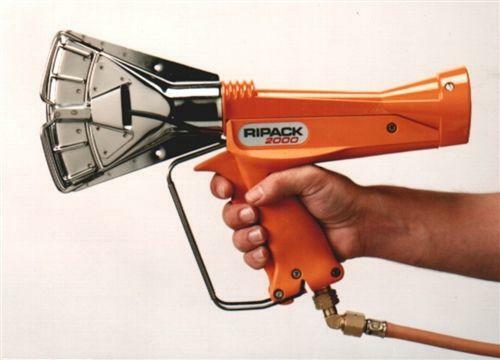 With 72 kW of power, the Ripack 2000 heat gun is the most powerful heat shrink heat gun on the market.